We had a lot of fun creating Amy and Nick's ceremony, held in front of the lake at Crittenden Estate. 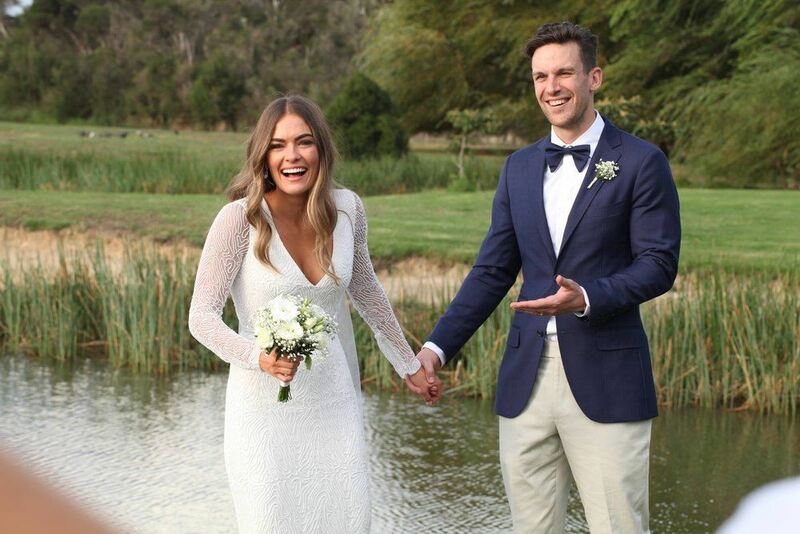 There were a few traditions special to them that we included in the ceremony, and standing beneath the willows I recounted the time that along came Amy, born and bred in Queensland, into Nick's life. (Yes, I managed to work in a pun or two on Amy's business Along Came Amy! ).